In late August, a senior Pakistani militant commander, Asmatullah Muawiya, welcomed Prime Minister Nawaz Sharif’s call for talks with anti-state insurgents. Days later, the spokesman of the Tehreek-e Taliban Pakistan (TTP) — the main insurgent group waging war against the Pakistani state — condemned Muawiya’s statement and claimed that it had expelled him. Muawiya scoffed at the TTP’s move, stating that he was never under the group’s command. Ostensibly, this is welcome news for Pakistan. A Taliban commander active in Punjab, Pakistan’s largest province, appears to be keen on talks with the central government. Additionally, there seem to be fissures within the country’s most deadly terrorist network. But Islamabad should beware Taliban bearing gifts. Muawiya is no peacemaker. In fact, his outreach to the government is likely an attempt to catapult himself above other jihadist commanders in Pakistan — not just those affiliated with the TTP, but also those affiliated with groups linked to Pakistan’s intelligence services. Muawiya’s outreach is just the latest in a series of maneuvers by a broad assortment of Pakistani jihadists as they prepare for the end of U.S. combat operations in Afghanistan late next year. Muawiya is among the ranks of disgruntled jihadists who defected from militant groups supported by Pakistan’s Inter-Services Intelligence (ISI) agency in the post-9/11 period. 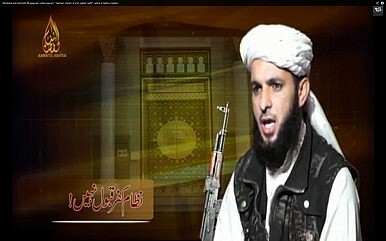 A former commander of the anti-India Jaish-e Muhammad (JeM) in Pakistan’s Azad Kashmir, Muawiya split from the organization after the 2007 military operations against the Lal Masjid, an Islamabad mosque run by radicals who had begun a vigilant campaign within the nation’s capital under the motto, “Shariat ya shahadat” (Islamic law or martyrdom). The operations on the mosque, which killed its chief cleric, Abdur Rashid Ghazi, along with dozens of other students and militants, helped spark the massive post-2007 terrorist campaign in Pakistan that has killed tens of thousands of Pakistanis. Much like Pakistan’s decision to support U.S.-operations against al-Qaeda and the Afghan Taliban post-9/11, this operation catalyzed the shift of large numbers of jihadists against the Pakistani state and into the hands of al-Qaeda-style militant groups. Muawiya claims that the Lal Masjid operation opened his eyes to the “hypocrisy” of the ISI-backed Kashmiri militant groups. He says prior to the operation, he had believed that while the ISI was working for its own strategic purposes vis-a-vis India, the Kashmiri militant groups it supported — including JeM, Lashkar-e Taiba (LeT), and Hizbul Mujahideen (HuM) — were sincerely engaged in jihad. But, Muawiya alleges, rather than supporting his call to hold the Pakistani government accountable for the Lal Masjid operation, the JeM’s chief, Masood Azhar, ordered his killing and murdered eighteen of his comrades. Fleeing to Pakistan’s Federally Administered Tribal Areas (FATA), Muawiya established ties with both al-Qaeda and the TTP, aiding in the insurgency there and also building a kidnapping network inside Punjab. Muawiya has remained an autonomous figure within the somewhat nebulous web of militant networks in FATA. Since 2011, he has released video sermons through his own production outlet, Abna-e Hafsa – named after the seminary attached to Lal Masjid – instead of the TTP’s Umar Studio outlet. In these sermons, Muawiya rails against democracy, describes the Pakistani army a mercenary force, and calls for attacks on Western embassies and against India.